Shawn Leitner is an eCommerce PM at the Federal Reserve Bank of Cleveland. Previously, he worked as a Project Manager at Sedlak Management Consultants. Shawn thrives in organizations that improve the customer experience and deliver high-value business value through innovative and creative technical solutions. 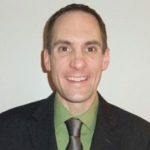 He does this by developing digital product strategies based on customer demand, market trends, and data-driven analysis, then he works collaboratively with business and technical stakeholders to deliver products using Agile methodologies. What would you say being a PM at Federal Reserve Bank is like compared to a Silicon Valley startup? The main difference between Product Management at the Fed Bank vs. Silicon Valley is that we are very conscious about the money we spend to ensure we are spending everyone’s time and money wisely, we don’t do much speculative solution development. We ensure that we identify the highest value products and solutions that will solve the customer problems, and we try to get quick adoption to ensure that we provide value as quickly as possible. Excellent question. I think voice and messaging platforms are interesting and do challenge us with a unique set of challenges, but ultimately, I think they can be overcome with the right mindset, processes, and people in place. We are working with vendors right now to implement voice technology in a couple of customer-facing products, and when we broke it down into its basics, it’s just an API. I’m not downplaying the technology, but it is another mechanism to interface with the customer. More players will get involved, and I’m excited to see the opportunities it brings. What are go-to tools and resources that you use to validate market trends and perform data-driven analysis? The go-to tools & resources that I use to validate market trends in our space are Gartner and Forrester. We also have strategic partnerships with vendors and other external parties that allow us to learn about what the private sector is doing and how customer behavior is changing. As for data-driven analysis, we are just beginning our data journey, and we haven’t made any commitments to tool sets yet, so we are trying to learn there. 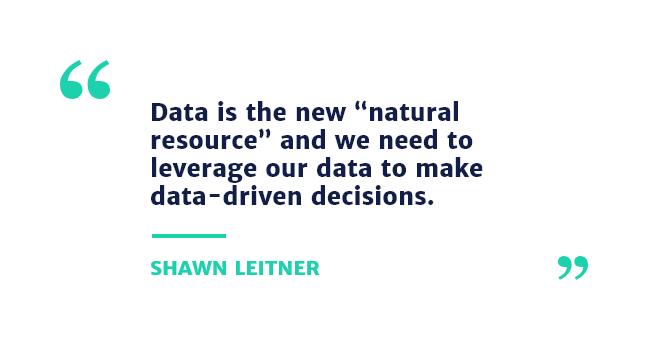 This is a key to our future, as I’m sure you all know, because data is the new “natural resource” and we need to leverage our data to make data-driven decisions, especially in our space. What are your thoughts about OKRs? Do you use them in the Fed Bank? If not, how do you measure the success of a product? We haven’t adopted form OKRs yet, but it is something we have discussed. I think it’s yet another framework that helps ensure you are working on the right stuff, and there’s lots of ways of measuring success. 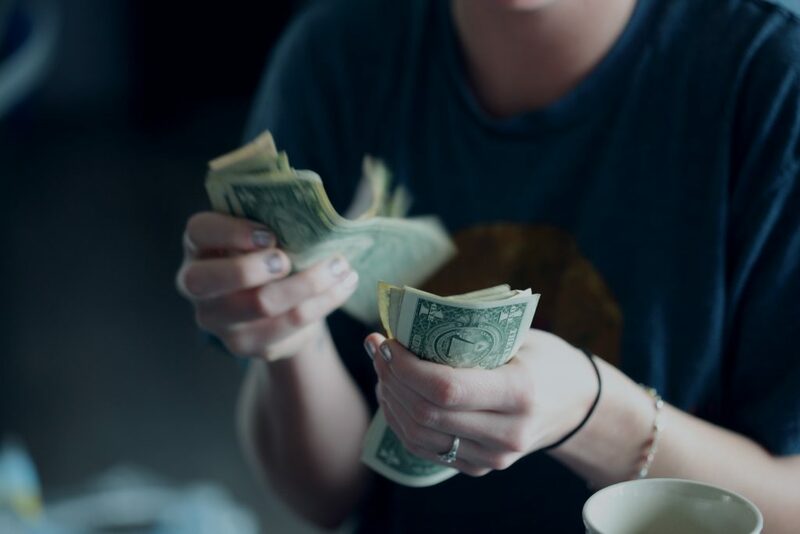 For us, we are not a revenue-driven organization because we are the federal government, so we focus on cost efficiencies and customer satisfaction. In terms of Agile, how do you prioritize non-functional requirements? What happens when change in government policies impacts security or system guidelines? That’s an excellent question. Prioritizing non-functional requirements is tricky because those are requirements that may not grab the headlines for the business or the technology groups, but if not done well, could sink your product. So you must strike the balance, especially when trying to deliver an MVP to market as fast as possible. I don’t know that I have any profound words for you, but if you can find some key influencers in your organization that can help you balance performance, scalability, uptime, and maintainability while also delivering the necessary business value, then everyone will be better off! What ultimately ended up being the catalyst that helped get executives and management to accept the PM role? It was quite a challenge to implement our Product Management discipline. When I took over the Product Manager role, it was a Product role in title only with a very small team. We were scaling quickly, implementing Agile, and needed to get our products to market faster, so we had to pivot and put a stronger emphasis on Product Management. 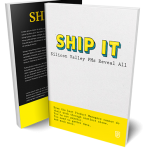 I read and networked a lot which helped me advocated for a stronger Product Management discipline and, while it took a while to adopt, it helped transition our organization from a tech shop to a Product-led organization. Lots of lessons were learned, but we’ve made some good strides. Do you have any advice for balancing good design and UX with legal requirements which are often complex and inhibit the user’s experience? It takes dogged determination to ensure you balancing good design with any legal and regulatory concerns. In my experience, I find that it can be achieved, but it takes longer than you would like. What 5 tips would you give a startup founder to turn their idea into an acceptable product? Stay laser-focused on the customer, and really understand their problem (or their Job To Be Done). Know the competition well, but know the customer better. Ensure you have a good team, and that includes a strong Product team – of course! Ensure that what you deliver aligns well with the vision and mission of the organization. How did you transition from Project Management to Product Management? As you probably have seen from my profile, I was a software developer for almost ten years before transitioning to Product roles. This was a difficult transition because I had the technical skills to be both a developer and a Product Manager, but I needed the soft skills to learn how to negotiate, prioritize, and present complex solutions to non-technical people. The technical skills are the easy part, the soft skills are the hard part. Big banks have been reaching out to me for product manager roles. How do I set myself apart? Learn the domain through research or networking, with your experience in finance, you’re good. Read, read, read. I would read books about Product Management, Strategy, and Organizational Change to show that you have depth and can bring additional value to an organization. Follow Product Management thought leaders (John Cutler, Matt Barcomb, Melissa Perri, Ellen Gottesdiener) on social media. In your experience interviewing candidates for the PM role, what would be some of the things you have come across that you wish candidates did differently? Day-to-day skills, which may be anything from story writing, prioritization, roadmapping, or UX design. Embracing change, which is key in so many domains – even mine! – because things will always change. Be curious, customers deserve the best solution that the team can deliver, because they are depending on you and your team to deliver a solution that solves the problem for them. If you were to interview a candidate for PM role, what would be th 3 most important questions you would ask? Which specific skills do you believe best prepares a non-technical PM to collaborate and hold influence with developers? Communicating with developers is very important. As with many roles, it helps to have some technical background, but that doesn’t mean you needed to code before. You could leverage experience you may have had working with UX Design tools, CMS, configuration tools, Access, or to have worked in a role that has customer-facing responsibilities (sales, marketing, customer success). What I enjoy most about Product Management is that there is no textbook way to become a successful Product Manager, it just takes hard work, dedication to your craft, and ultimately advocating for the customer. If you can do that, you’ll do great! As for some last-minute advice, Product Management is an awesome discipline, but it’s not easy, so be prepared to learn a lot. You will encounter headwinds but have faith in yourself and your talents, and as long as you are advocating for the customer, things will work out well for you! Thanks again everyone!